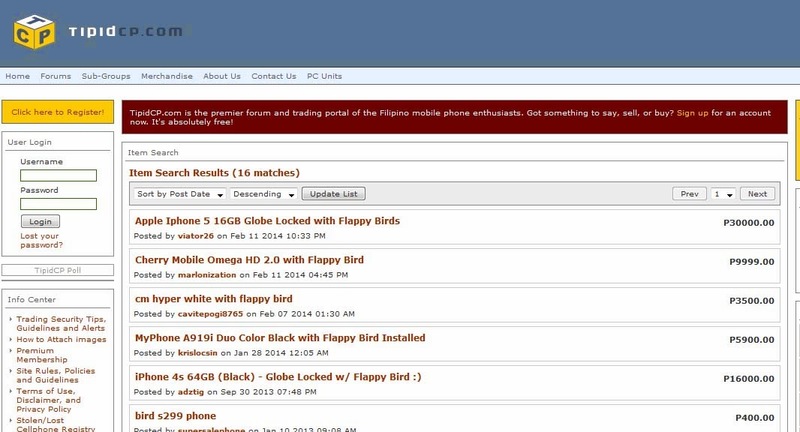 As the recent shutdown of Flappy Bird game from the iOS (iTunes) and Android (Google PlayStore) app stores, by the creator of the game "Dong Nguyen", many of the entrepreneurer take advantage to sell their used phones with installed Flappy Bird game app. As for some gamer, craving for more wings to flap, here's your chance to own one. But be advise it is not cheaper as you expect, some sell it on expensive price tag, while others ridiculously expensive. 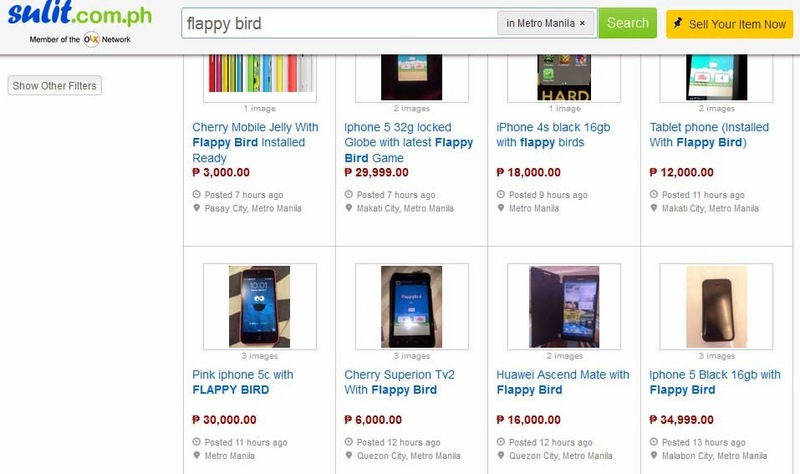 trade po tayo sir to my galaxy s2 with flappy bird... lol. its very addictive game why they closed it on app store. 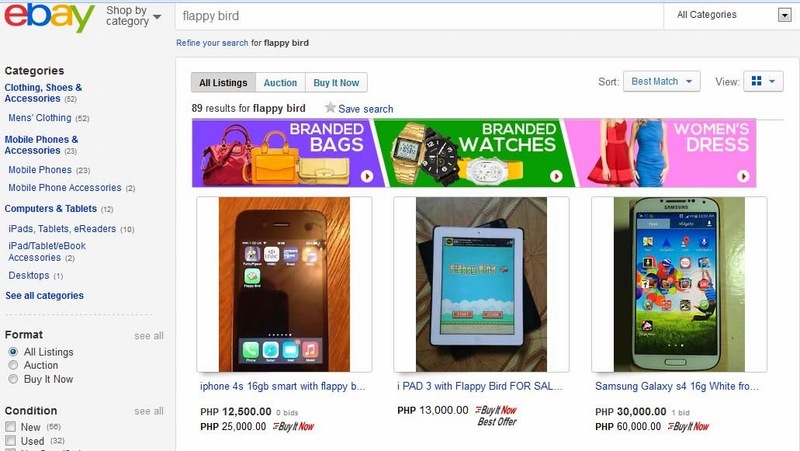 ayoko bumili ng nasa online stores. hehe.